The history of our community in Spain is very special. In 1914, a group of Spanish youth who were working in the Abbey of New Norcia, Australia, formed a religious association, which transformed into a “Pia Unio” in 1921. These young ladies, with private vows, called themselves “Benedictine Oblate Sisters”. 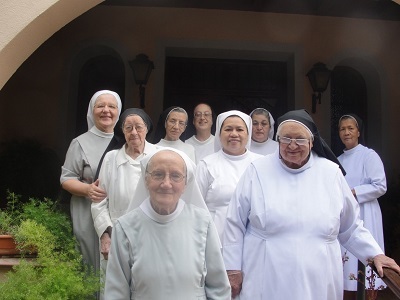 In 1933, two Sisters from this group went to Belgium and had their Canonical Novitiate in the community of the active Benedictines in Maredsous. Two years after, which was in the year 1935, the “Benedictine Oblate Sisters” were approved as Diocesan Congregation. Since 1962, their name was changed to “Missionary Benedictines of New Norcia.” From 1978 the Congregation became part of the Benedictine Confederation. In the Abbey, the Sisters had been working with children. Three of them, formed one community in the mission in Kalumburu (North of Australia) and dedicating themselves to the evangelization of the aborigines, together with the Benedictine Priests. In 1964, six of the Sisters returned to Spain. They worked with special children in Madrid. From 1968 to 1979, there was an existing community in Barcelona. In 1973, a day care for children on the ground floor of the building was opened in Parla, a neighbouring city of Madrid. The Sisters were living on the third floor of the same building. After four years, a residence for students was opened in Carabanchel, Madrid, with a community of the Sisters at the house next door. Due to absence of vocations, the Congregation of the Benedictine Missionaries of New Norcia, decided in their General Chapter on 1981, to ask for integration to the Congregation of the Missionary Benedictines of Tutzing. The petition was accepted in our General Chapter of 1982. After the probation period of two years, the integration was made, with the approval of the Holy See. 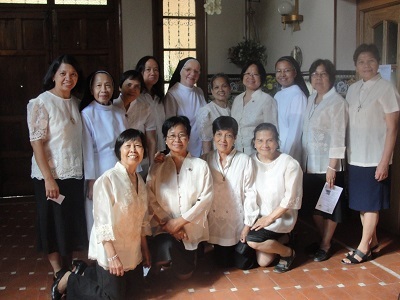 The Sisters of the Manila Priory helped a lot during the integration period. They started on pastoral work with the Filipino migrant workers in Madrid and Barcelona. There were then three communities in Spain: in Madrid where the residence for female students is; in Parla with the day care for children and in Barcelona, very much dedicated on pastoral work with the Filipino migrant workers. In Barcelona, they formed a group of Oblates of St. Benedict, very faithful to us, even though there were no resident Sisters since 2000. A Sister from Madrid or Portugal regularly visits the Oblates for their formation. In Madrid there is also a continuous contact with the Filipino community and a group of Oblates.